Since 1984, our company has delivered energy solutions for thousands of customers around the world. We proudly represent world class battery manufacturers providing efficient solutions for different applications: Marine, Golf, Industrial, Auto, Special Applications, Solar and Renewable Energy. 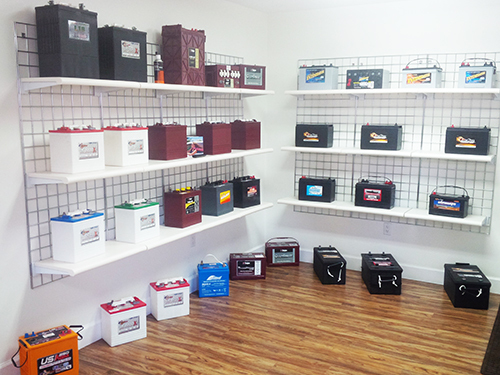 No matter what your requirement could be, we have the perfect battery, starter or alternator. All of our products are tested before delivery to give a peace of mind to our customer that they will not receive any defective or damaged battery. Our facility in Fort Lauderdale was completely renewed in 2014 to give the warmest welcome to all of our customers that decide to pick up their batteries. Are you out of the country? It does not matter. We package your batteries accordingly, prepare your proper export documentation and deliver to your freight forwarder in 72 hours or less because we understand how critical time is for you. If you are in need of installation? We will be there!. Our highly qualified technicians are available upon request to replace batteries in your boat, gof cart, vehicle, machinery or forklift.